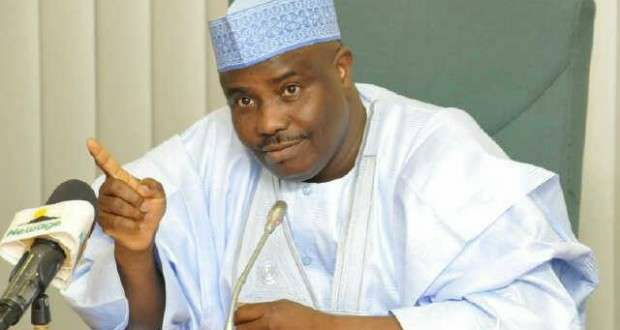 The threat to party peace stems from alleged plan by some powerful forces to hand over the PDP presidential ticket to Governor Aminu Waziri Tambuwal of Sokoto State. Also pushing for the Sokoto governor’s candidature is a prominent traditional ruler in the North, party sources told The Nation yesterday. Simultaneously, the Coalition for Nigeria Movement (CNM) appears to be narrowing its choice of presidential candidate in next year’s election to one of the three ex-governors it is currently wooing as a possible replacement for President Muhammadu Buhari. Ex-governors Rabiu Kwankwaso (Kano), Sule Lamido (Jigawa), and Ibrahim Shekarau (Kano) like Buhari, are all from the North-West geo-political zone. The Nation gathered authoritatively that their names feature prominently in ongoing consultations by CNM bigwigs. But there is a condition: any of them seeking the Olusegun Obasanjo-inspired coalition’s support must first identify with it publicly. Wike, fresh from installing Prince Uche Secondus as party chairman despite vehement opposition from the likes of former Military President Ibrahim Babangida and ex-President Goodluck Jonathan, is said to have drawn the ire of Jonathan and many of his supporters for promoting Tambuwal’s presidential ambition in PDP. Party sources said the anti-Tambuwal elements are uncomfortable with him in view of the role he played in the loss of power by the PDP in 2015, especially the defeat of Jonathan. The Jonathan associates and some PDP governors have vowed to stop Tambuwal’s bid to secure the PDP presidential ticket. Tambuwal was Speaker of the House of Representatives under Jonathan and his defection from the PDP to the then newly formed APC laid the foundation for the defeat of the PDP in the 2015 polls. Party sources also said he might return to the party on the basis of an alleged unwritten agreement between him and Wike. He is the only APC governor that has not yet identified with the 2019 re-election bid of President Muhammadu Buhari. “They accused Tambuwal of working for ACN and later joining APC to fight Jonathan. Jonathan’s kinsmen and his associates have not forgotten the role he played in bringing down their man. To that extent, the ex-president’s camp sees Tambuwal as a hard sell in the South-South, particularly in Bayelsa, Delta and Rivers states. “Some PDP governors and leaders believe he will also be difficult to sell in the South-West because of the role he played in the defeat of Hon. Femi Gbajabiamila in the Speakership race in 2015. Whereas the South-West supported him to become the Speaker by defeating Hon. Mulikat Adeola from Oyo State in 2015, he was implicated in working against Gbajabiamila, who was the zone’s choice for Speaker in 2015. “Some PDP governors also believe that Tambuwal will be no match for Buhari in the north since his major political platform belongs to ex-Governor Aliyu Wammako who APC and strategists of Buhari are lobbying to remain in the ruling party. But a PDP source said: “With Wike’s backing, Tambuwal may get the ticket. I think those making a strong case for Tambuwal have gone far on this project to be underrated. “If Jonathan and his associates can be cut to size during the National Convention of PDP, Wike and others can have their way on Tambuwal. “The aftermath in PDP might affect the chances of the party in 2019 because those in favour of the former Interim National Chairman of the party, Sen. Ahmed Makarfi as the preferred candidate for the party’s presidential mandate may cause an upset. Adopting Tambuwal will amount to abandoning the agreement with Makarfi by PDP governors to make him the party’s presidential candidate. “I think a member of the Interim Caretaker Committee saw this coming when he advised Makarfi to seek a firm commitment from Wike and others. Makarfi preferred to have trust in these governors. “Whatever it is, it is just a matter of when Tambuwal, who pulled the strings behind the scene during PDP convention, will move to PDP. “Realising the danger of APC plot against him, Tambuwal has gone on the fast lane by winning prominent Emirs to his side and reconciling with the likes of ex-Governor Attahiru Bafarawa. This was what accounted for the enlargement of his cabinet to 25 on February 5. He also pulled the rug from under Wammako’s feet by appointing his younger brother, Ahmed Barade Wamakko as Commissioner for Social Welfare. Notwithstanding, it was learnt that some PDP governors are considering Governor Ibrahim Dankwambo. Investigation by our correspondent on Obasanjo’s CNM revealed that contrary to claims by the former president that he has no preferred candidate for the 2019 presidential race, the coalition may make strong recommendations on some candidates for Nigerians to vote for. A source in the group however said that whatever action taken by it will be guided by utmost caution to avoid acts capable of derailing its plans to “ease out Buhari” at all cost. “Whatever may be the pretence by ex-President Obasanjo, the ultimate target of CNM is to get a replacement for Buhari in 2019,” the source said. “The group may recommend any of the three former governors from the North-West as being capable of replacing Buhari. “The three leaders are Rabiu Kwankwaso, Sule Lamido, and Ibrahim Shekarau who are all from the North-West like Buhari. “I think a major challenge of CNM is how to work to the answer in 2019 on any of these three presidential aspirants. But the group is still working on the platform it will use to actualize its plan to replace Buhari. “The choice of platform is a challenge,” the source explained. He added: “PDP is the strongest opposition party which Obasanjo does not want to associate with in order not to return to his vomit having torn his membership card. The CNM believes it has made a substantial inroad into the National Assembly as one of the institutions to promote the anti-Buhari agenda. Continuing, the source said: “The CNM has been implicated in a romance with some Senators and members of the House of Representatives which led to the reversal of INEC’s Order of Elections in 2019. Analysts however see Obasanjo’s motive as selfish and playing gambling with Nigerians. One analyst asked: is it his birth right to choose president for us? He imposed Yar’Adua, Jonathan, now he is scheming to impose on us the next President. He must be stopped. “On Wednesday, Obasanjo insisted that CNM would remain a socio-political movement. “He said he would cease to be a member if the coalition becomes partisan.